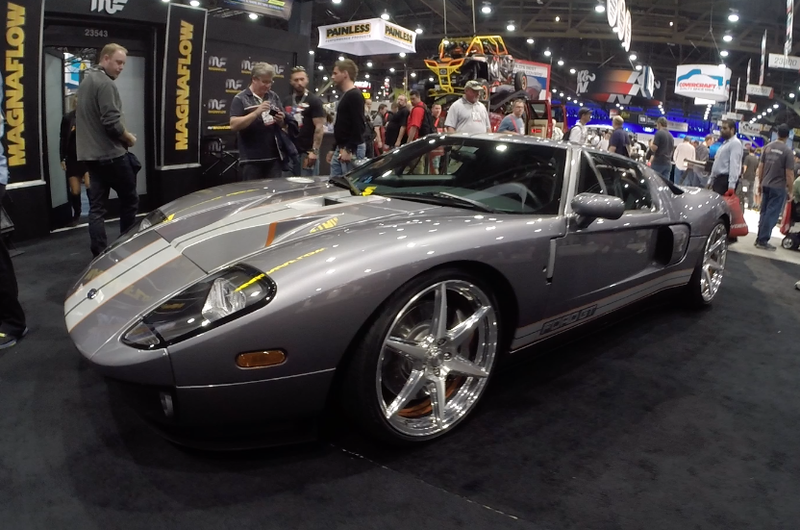 Ford won yet again the the "Hottest Car Award" at SEMA this year for more reasons than I want to explain. With the introduction of the new King Cobra which is featured 18 pics down, Ford is really promoting their bolt on performance in their booth with designers like Chip Foose also in their booth. Check out this video of why SEMA judges chose the Ford Mustang for the "Hottest Car Award" for 2014, then scroll for some of my favorite pics I took at SEMA Show 2014 . All you need to know, is that this Mustang is faster than yours.